For his Christmas gift this year, I have a theme going...I'll blog about that AFTER Christmas though! :) I'm putting the cards together like a little story book about the gifts, the theme is "A Cozy Christmas". 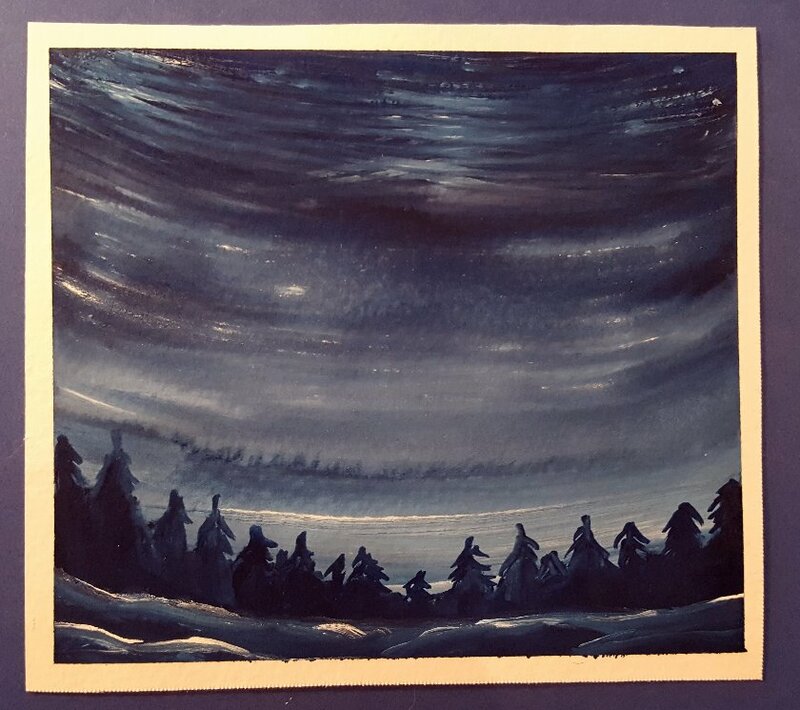 I've enjoyed painting these little winter and Christmas scenes, they were a lot of fun to do. 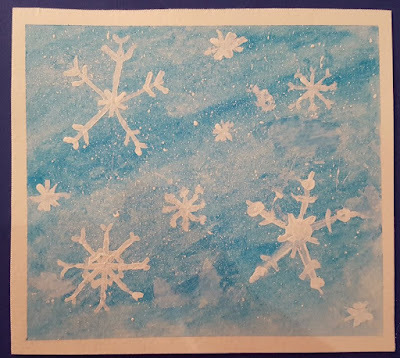 I have made so many of these little cards this year, and surprisingly haven't run out of ideas! I love this time of year, I don't even mind the deep freeze lately! We're having a grand ol' time! It snowed BUCKETS the last few days! It's so beautiful outside! Guess who this happy couple represents? :) Alex with his fedora and me with my knitted hat! I feel like such a kid, I really can't wait until Christmas morning!! Your little cards are adorable! i just love these cards. nothing is as good as homemade! 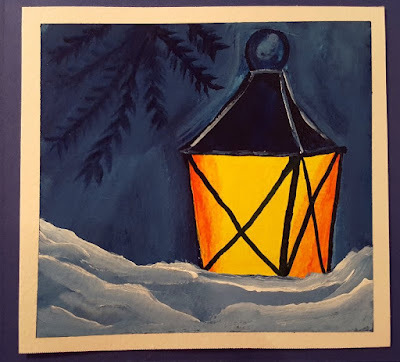 Love, love, love those little paintings, I thought that the Cardinal and the Lamp were just the bees knees till I scrolled down to the snowmen. I used to paint once upon a time but have no room for the equipment now. 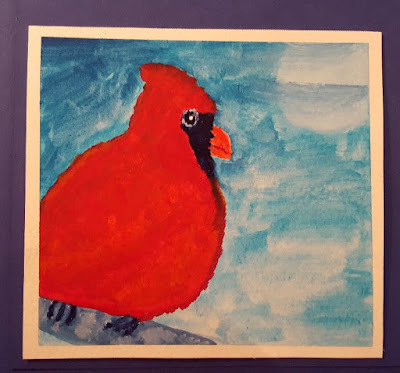 Funny you painted a cardinal, I have been making cardinal ornaments all week. Maybe I will post some of my projects one day! these are wonderful. 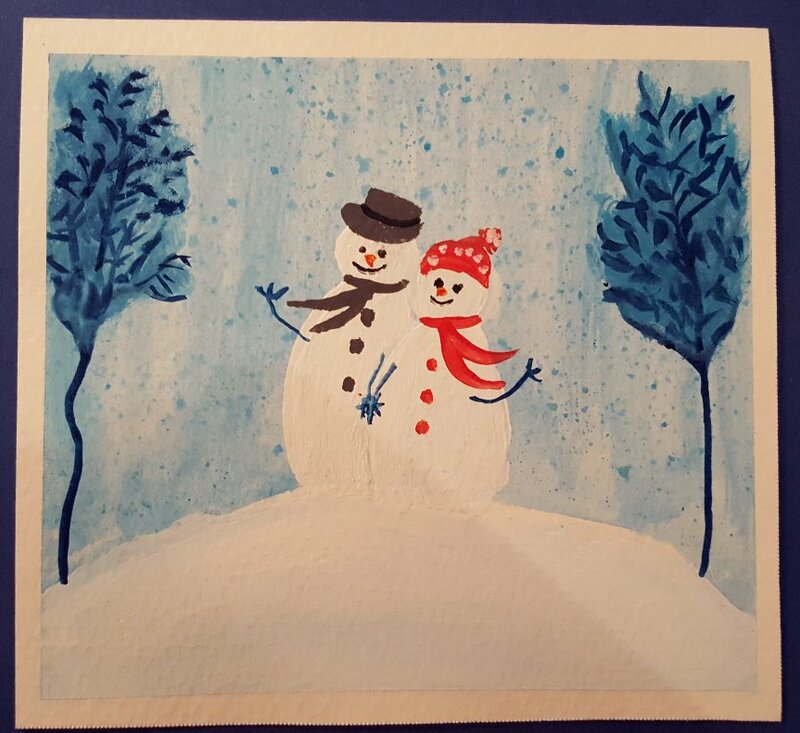 I especially like the snowman/snowwoman couple, they're adorable. My gosh, I do declare, that sometimes, when I look at your watercolor/acrylic work, I think I'm looking at something that was bought in a store. I love the first one, moody and atmospheric. The snowmen are very cute. I know it's hard to want to do all things but are limited to this and that. I've always loved to read ever since I was little. The librarian used to be impressed and remark upon who I'd come back to return a tall stack of books and then check out another big bunch. 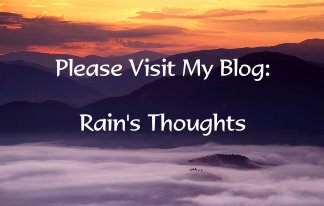 Very nice Rain. I love all your pics of Christmas Time. Enjoyed your beautiful Christmastime art, thanks for sharing your joy of the season! You two make a cute little snowman couple. 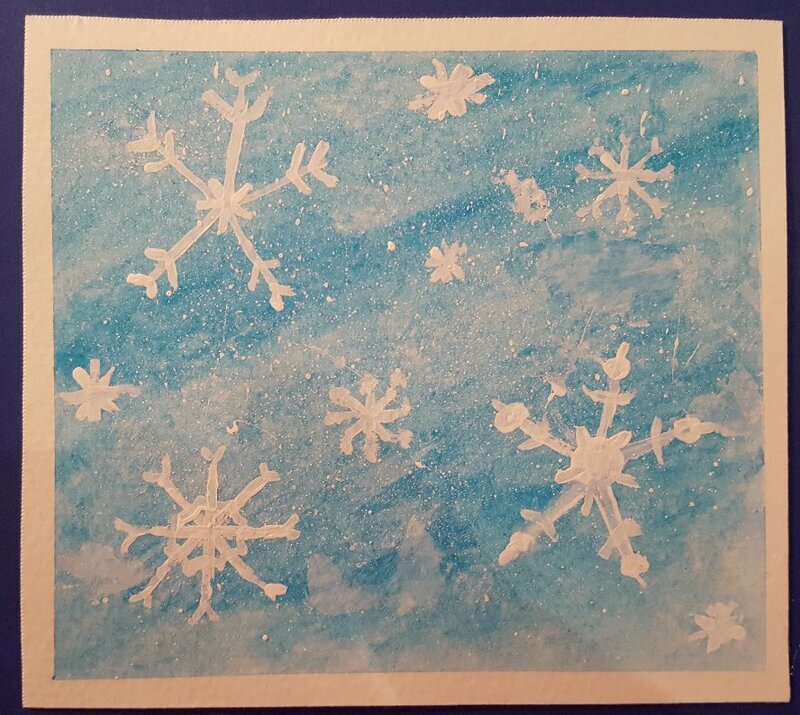 Oh Rain, your Chrismastime cards are delightful...love the snow on the branches. I feel the love and the chill....burrr. Love your work. Merry Christmas. You are so talented! I love all of them. A pair of snow men, perfect since you guys live at the north pole. That is my favorite one. I haven't painted in a long time, always something else to do. Maybe next year. What a beautiful series of paintings, and a very thoughtful gift! Those are beautiful cards, and the recipients could frame them too. How lovely to draw this adorable cardinal for Alex dear Rain! I am fascinated by the memories of Alex grandma who used to paint this gorgeous bird! LOVED the Happy Couple Sooooooooo....much! your heart seemed to be filled with joys and love which is shining through your paintings and sharing my lovely friend Rain! How lovely those cards are. You really put a lot of thought into each one. Alec is a very lucky man to have you by his side. 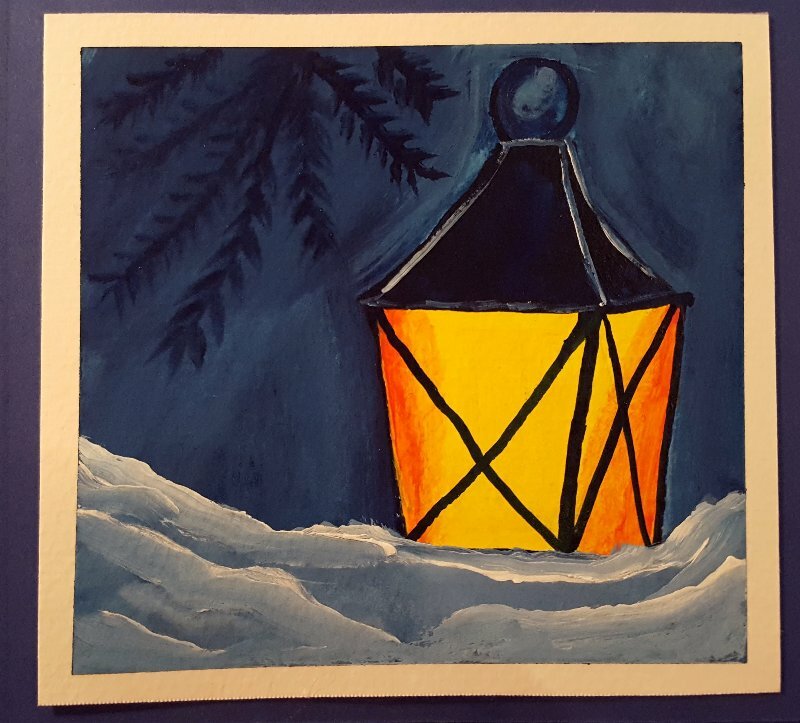 My personal favorite is the one with the lantern. It reminds me of my grandmas farm and going to the outhouse at night and using a lantern to find our way. I loved going to her farm. We coukd run and hollar and be kids without being told to settle down or be quiet. Thank you for the memory. Alex is blessed to have you ... you have captured the love that Christmas is supposed to be about in all of your paintings and childlike joy. This post warms my heart and lifts my own excitement and joy. I have no doubt that you will have a Merry of Christmas with Alex. 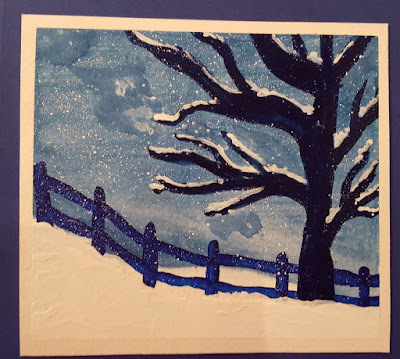 I love your painted cards, Rain! How sweet they all are. And special that they came from your own hand. Love the snowflakes and the cardinal especially! Rain, I think your paintings are really beautiful. So peaceful and calming. Wish I could paint like that. Just a few days to Christmas. I will put up my same ferrets/angel/Christmas tree picture I do every year, it's kind of a tradition with me, on my Christmas post. I have to say though, that your original paintings are fresh and new, it's nice you can do that. Rain, those cards are wonderful! How lucky are those who will receive them. My father used to make all our birthday cards, anniversary cards for my mother, graduation cards. He died 25 years ago and how I wish I knew where all those cards ended up. What an amazing set of cards you've painted Rain - I really think they would be perfect printed and sold (and definitely in a set) perhaps for next year! Sending best wishes for your Christmas holiday with Alex and the animals. A very HAPPY CHRISTMAS and wonderful New Year ahead. 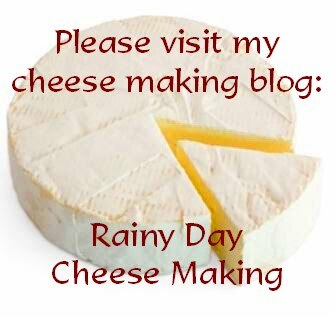 Thank you for all you have shared this past year - especially the cheese-making, haha! This cheese-aholic wishes she lived closer! Wishing you and your family, including the fur-kids, a very Merry Christmas! I love your cards - all of them. What a fabulous idea. You've inspired me to give this a try for next year. 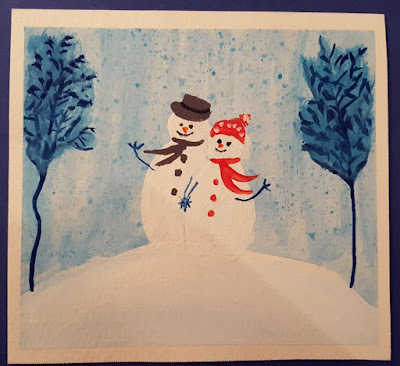 All my cards are handmade, but I've not tried painting yet. Maybe with my days off from school next week I will start. Thanks so much for the inspiration. Sending you the warmest holiday wishes and hoping you have a stellar 2018! Thanks Jenn :)) Oh yes, I want to see your projects! I do hope you post them! Thanks Lissa :) Have a lovely holiday too! Thank you Stefanie! :)) I do wish I had your passion for reading. I did at one time, but after I had that burnout I lost a lot of my concentration skills. I have a stack of books just ready for porch season though, I'm hoping to retrain myself to pay attention more. Thanks Gill :) You are still trying to stay on that naughty list I see lol...good job at it! ;) I hope you find time to paint again, your work is really nice. Thanks Andrea :)) You always have such sweet and supportive comments, I'm so happy to read them! :) I hope you have a Merry Christmas too! Thanks Donna :)) What a treasure if you found those cards...I wish I had a lot of things from my own grandparents, but unfortunately they were all discarded (for lack of better word) when they passed away. A sore spot for me, but we do have our memories! Delightful! Both the cards themselves, and the fun of making them. And of course, the love with which you made them. Aw, you are so cute with your excitement there, Rain, and these marvelous, adorable, cards. Alex will love them! I especially love the top one with that magical sky - so very much a part of this season on wonder there. Having snow as you do would only add more to the Christmas feeling. I have so enjoyed having you be a part of our picnics and reading your writings along the way. Thank you. What beautiful paintings! I know I cherish mine! What a wonderful idea to make a little story book. No snow here and I miss it...just cold and gloomy out but warm and cozy inside here so I can't complain. I can't wait to see what you 2 give each other for Christmas! You are both such creative people. Enjoy! Thank you Michael! :) I'm so glad that Tammie Lee invited me because I kept going over and seeing the scribbles and thinking I'd like to join...glad I took the leap! :) It's been a lot of fun and I can't wait for what the new year brings! !